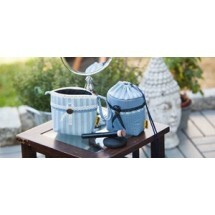 Vilene Products (Vlieseline)	There are 60 products. Vilene Bondaweb 17.5" (329). Sold by the metre. 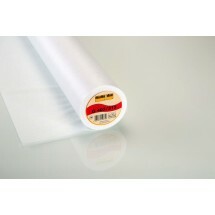 A strong adhesive web which bonds one fabric to another when ironed. Used for appliques, handicraft and repairs. 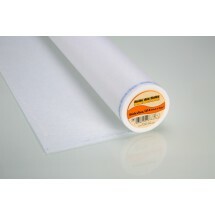 Vilene Bondaweb 17.5" (329) 30m Roll Price. 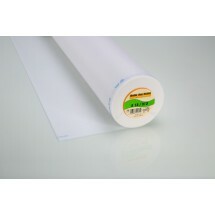 A strong adhesive web which bonds one fabric to another when ironed. Used for appliques, handicraft and repairs. Vilene Bondaweb 36" (719). Sold by the metre. 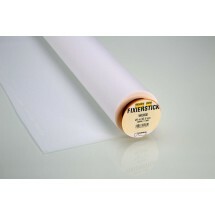 A strong adhesive web which bonds one fabric to another when ironed. Used for appliques, handicraft and repairs. 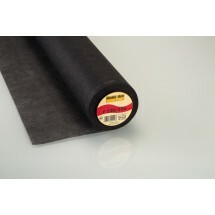 Vilene Bondaweb 36" (719) 25m Roll Price. 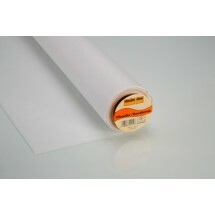 A strong adhesive web which bonds one fabric to another when ironed. Used for appliques, handicraft and repairs. Vilene Bondaweb Pack. 17cm x 1.2m. 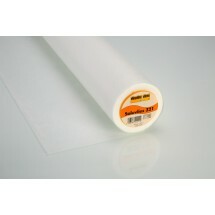 A strong adhesive web which bonds one fabric to another when ironed. Used for appliques, handicraft and repairs. Vilene Firm/Heavy Iron - 36" Charcoal (327). Your embroideries will look much better, clearer and neater when you use embroidery backings no matter what outer fabric is used. Sold by the metre. 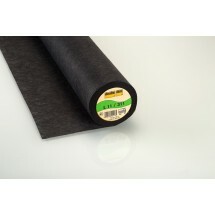 Vilene Firm/Heavy Iron - 36" Charcoal (327) - 25m Roll Your embroideries will look much better, clearer and neater when you use embroidery backings no matter what outer fabric is used. Vilene Firm/Heavy Iron - 36" White (305). Your embroideries will look much better, clearer and neater when you use embroidery backings no matter what outer fabric is used. Sold by the metre. 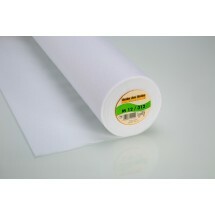 Vilene Firm/Heavy Iron - 36" White (305) - 25m Roll Your embroideries will look much better, clearer and neater when you use embroidery backings no matter what outer fabric is used. Vilene Firm/Heavy Iron Easy Fuse - 36" Charcoal (317). Your embroideries will look much better, clearer and neater when you use embroidery backings no matter what outer fabric is used. Sold by the metre. Vilene Firm/Heavy Iron Easy Fuse - 36" Charcoal (317) 25m Roll. Your embroideries will look much better, clearer and neater when you use embroidery backings no matter what outer fabric is used. Vilene Firm/Heavy Iron Easy Fuse - 36" White (316). Your embroideries will look much better, clearer and neater when you use embroidery backings no matter what outer fabric is used. Sold by the metre. 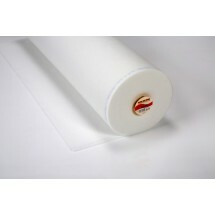 Vilene Firm/Heavy Iron Easy Fuse - 36" White (316) 25m Roll. Your embroideries will look much better, clearer and neater when you use embroidery backings no matter what outer fabric is used. Vilene Firm/Heavy Sew in - 36" White (313). Your embroideries will look much better, clearer and neater when you use embroidery backings no matter what outer fabric is used. Sold by the metre. 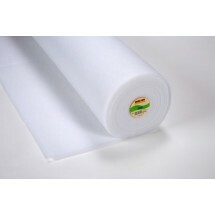 Vilene Firm/Heavy Sew in - 36" White (313) - 25m Roll Your embroideries will look much better, clearer and neater when you use embroidery backings no matter what outer fabric is used. Vilene Fuse and Fold - 1 1/2" - Charcoal. Sold by the metre. Vilene Fuse and Fold - 1 1/4" - Charcoal. Sold by the metre. Vilene Fuse and Tear - 36" (322) Sold by the metre. 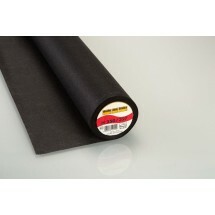 Fusible embroidery stabiliser ideal for all fabrics but particularly designed for stretch materials. Iron onto fabric to prevent movement whilst embroidering, stitching etc. Once finished simply tear away. 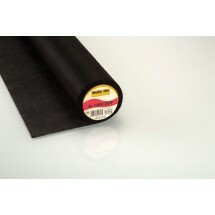 Vilene Fuse and Tear - 36" (322) 25m Roll Price. 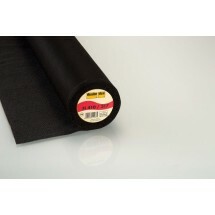 Fusible embroidery stabiliser ideal for all fabrics but particularly designed for stretch materials. Iron onto fabric to prevent movement whilst embroidering, stitching etc. Once finished simply tear away. 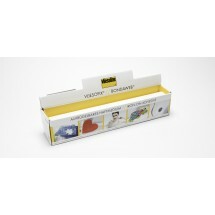 1 * Vilene Fusible Fleece - White (640). Sold by the metre. 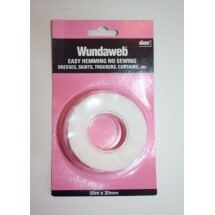 Adds volume to your quilting, patch working and bag making projects. 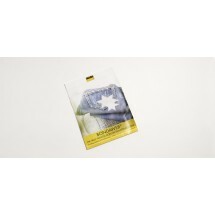 1 * Vilene Fusible Fleece - White (640). 15m Roll. Adds volume to your quilting, patch working and bag making projects. 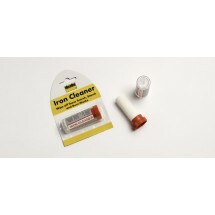 1 * Vilene Iron cleaner, wipe off scorch, starch & burn marks. Vilene Medium Iron - 36" Black (326). Your embroideries will look much better, clearer and neater when you use embroidery backings. Sold by the metre. Vilene Medium Iron Easy Fuse - 36" Black (319). Your embroideries will look much better, clearer and neater when you use embroidery backings ‚Äì no matter what outer fabric is used. Sold by the metre. Vilene Medium Iron Easy Fuse - 36" Black (319). 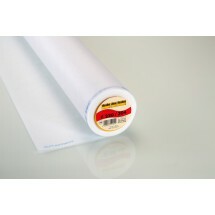 25m Roll Price Your embroideries will look much better, clearer and neater when you use embroidery backings no matter what outer fabric is used. Vilene Pelmet - 36" (240). Sold by the metre. Heavy sew in Vilene used for creating pelmets and other furnishings. 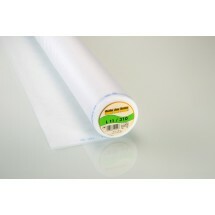 Also ideal for bags and other textile projects. Vilene Pelmet - 36" (240). 25m Roll Price. Heavy sew in Vilene used for creating pelmets and other furnishings. 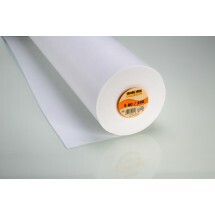 Also ideal for bags and other textile projects. Vilene Quiltex - 36" (X50). Sold by the metre. Iron on quilt wadding suitable for needlework and garments where you want to create a quilted effect. Suitable for use on most materials. Vilene Quiltex - 36" (X50). 15m Roll Price. Iron on quilt wadding suitable for needlework and garments where you want to create a quilted effect. Suitable for use on most materials. Vilene Firm/Heavy Iron Easy Fuse - 36" (321). Cold water soluble embroidery backer. Sold by the metre. 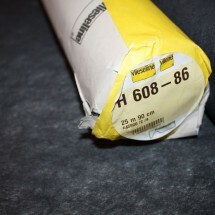 Vilene Firm/Heavy Iron Easy Fuse - 36" (321) 25m Roll. 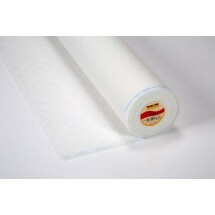 Cold water soluble embroidery backer. Vilene Stitch and Tear - 36" (314) Sold by the metre. 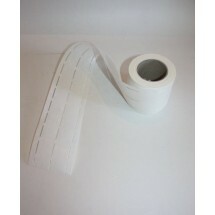 Sew in fabric stabiliser for all types of decorative sewing, applique and machine embroidery. It stabilises the fabric helping prevent movement during sewing. Once finished simply tear away excess. Vilene Stitch and Tear - 36" (314) 25m Roll Price. 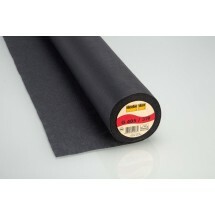 Sew in fabric stabiliser for all types of decorative sewing, applique and machine embroidery. It stabilises the fabric helping prevent movement during sewing. Once finished simply tear away excess. Vilene Stitch and Tear Pack. 90cm x 40cm. 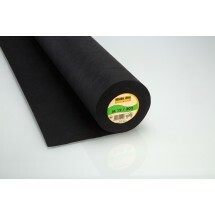 Sew in fabric stabiliser for all types of decorative sewing, applique and machine embroidery. It stabilises the fabric helping prevent movement during sewing. Once finished simply tear away excess. Vilene Ultra Light Iron - 36" Black (309). 25m Roll Price. Your embroideries will look much better, clearer and neater when you use embroidery backings ‚Äì no matter what outer fabric is used. Vilene Ultra Light Sew in - 36" Black (311). Your embroideries will look much better, clearer and neater when you use embroidery backings no matter what outer fabric is used. Sold by the metre. Vilene Ultra Soft Stretch - 36" Charcoal. Sold by the metre. Vilene Ultra Soft Stretch - 36" White. Sold by the metre. Vilene Ultra Soft Stretch - 36" White. 25m Roll Price. Vilene Volume Fleece - 36" (280). White sew-in wadding. Sold by the metre. Suitable for use in lightweight clothing, quilting and patchwork projects such as wall hangings, table runners and bed quilts. Vilene Volume Fleece - 36" (280). 15m Roll Price. White sew-in wadding. Sold by the metre. Suitable for use in lightweight clothing, quilting and patchwork projects such as wall hangings, table runners and bed quilts. 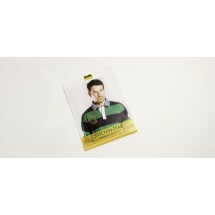 Vilene Wunderweb Bumpa Pack. 20mm * 2.5cm. Fix your trouser or skirt hem without any sewing. Vilene/Vlieseline Medium Iron- 36" Black (326) (F220). 25m Roll Price Your embroideries will look much better, clearer and neater when you use embroidery backings no matter what outer fabric is used. Vilene Light Sew In - 36" White (310) (L11). Your embroideries will look much better, clearer and neater when you use embroidery backings no matter what outer fabric is used. Sold by the metre. 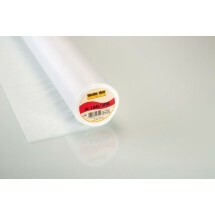 Vilene/Vlieseline Light Sew In - 36" White (310) (L11) - 25m Roll Your embroideries will look much better, clearer and neater when you use embroidery backings no matter what outer fabric is used. Vilene/Vlieseline Medium Iron - 36" White (304) (F220). Your embroideries will look much better, clearer and neater when you use embroidery backings no matter what outer fabric is used. Sold by the metre. Vilene/Vlieseline Medium Iron - 36" White (304) (F220). 25m Roll Price. Your embroideries will look much better, clearer and neater when you use embroidery backings no matter what outer fabric is used. Vilene/Vlieseline Medium Iron Easy Fuse - 36" White (315) (G405). Your embroideries will look much better, clearer and neater when you use embroidery backings no matter what outer fabric is used. Sold by the metre. Vilene/Vlieseline Medium Iron Easy Fuse - 36" White (315) (G405). 25m Roll Price. Your embroideries will look much better, clearer and neater when you use embroidery backings no matter what outer fabric is used. Vilene/Vlieseline Medium Sew in - 36" Black (302) (M12). Your embroideries will look much better, clearer and neater when you use embroidery backings no matter what outer fabric is used. Sold by the metre. Vilene/Vlieseline Medium Sew in - 36" Black (302) (M12). 25m Roll Price. Your embroideries will look much better, clearer and neater when you use embroidery backings no matter what outer fabric is used. Vilene/Vlieseline Medium Sew in - 36" White (312) (M12). Your embroideries will look much better, clearer and neater when you use embroidery backings no matter what outer fabric is used. Sold by the metre. Vilene/Vlieseline Medium Sew in - 36" White (312) (M12). 25m Roll Price. Your embroideries will look much better, clearer and neater when you use embroidery backings no matter what outer fabric is used. Vilene/Vlieseline Ultra Light Iron - 36" Black (309) (H180). Your embroideries will look much better, clearer and neater when you use embroidery backings ‚ no matter what outer fabric is used. Sold by the metre. Vilene/Vlieseline Light Iron On - 36" White (308) (H180). Your embroideries will look much better, clearer and neater when you use embroidery backings no matter what outer fabric is used. Sold by the metre. 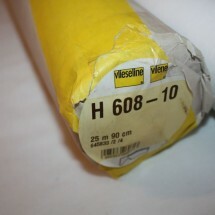 Vilene/Vlieseline Light Iron On - 36" White (308) (H180) 25m Roll Price. Your embroideries will look much better, clearer and neater when you use embroidery backings no matter what outer fabric is used. Vilene/Vlieseline Ultra Light Sew in - 36" Black (311) (L11). 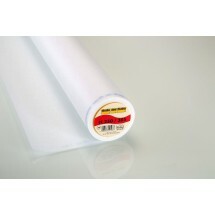 25m Roll Price Your embroideries will look much better, clearer and neater when you use embroidery backings no matter what outer fabric is used.